Winner of the 2012 Hillman Prize in Book Journalism. Frank Bardacke was active in the student and anti-war movements in Berkeley in the 1960s. He moved to California’s Central Coast in 1970, worked for six seasons in the Salinas Valley fields, and taught at Watsonville Adult School for twenty-five years. 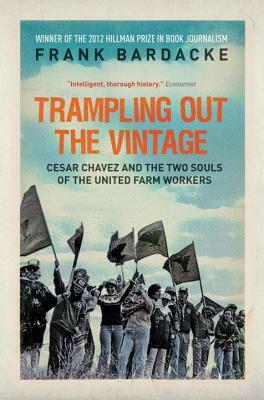 He is the author of <a href="http://www.versobooks.com/books/1202-trampling-out-the-vintage">Trampling Out the Vintage: Cesar Chavez and the Two Souls of the United Farm Workers</a>, Good Liberals and Great Blue Herons: Land, Labor and Politics in the Pajaro Valley, and a translator of Shadows of Tender Fury: The Letters and Communiqués of Subcomandante Marcos and the Zapatista Army of National Liberation.